Nanny Services|Keep your Nanny Long Term. Why is it that some families keep a nanny for years while other families go through multiple nannies without ever finding one that's a truly good fit for their family? There could be a number of reasons, but the most common one is that a family fails to promote job satisfaction. Ensuring that your nanny remains a dedicated, committed and valued employee doesn't require much effort. To be happy in their job, most nannies simply want to know they are appreciated and valued by their employers. Nannies who are confused about their duties or who feel that they are consistently being asked to do more than what was originally agreed upon are not likely to want to stay in their job situation beyond their original commitment. Setting realistic expectations from the beginning of the relationship is the easiest way to avoid this pitfall. Having a written nanny agreement can ensure that both the nanny and the parents have a clear understanding of the expectations they have for each other. If a nanny is going to do housekeeping in addition to watching the children, clearly define which tasks she is responsible for and then do not add new duties, tasks or responsibilities until you have discussed it with your nanny and amended the nanny contract. Be sure to compensate your nanny appropriately for any additional responsibilities she takes on. While most nannies are more than happy to pitch in and be flexible when needed, it's important to ask your nanny if she is willing and able to take on the additional task rather than to assume she's available and able to accommodate your request. While many parents assume that their nanny, especially if she lives-in, is on call 24/7, this is an unrealistic expectation. Your nanny will expect you to stick to the schedule you established at the outset of your working relationship and will want advance notice if something has changed. An occasional night of both parents working late by a few hours may not affect your relationship with your nanny, but if this were to become a regular occurrence, you might find you have an unhappy nanny on your hands. While most nannies generally love their work and after years of nanny service still marvel at the idea of getting paid to play, the reality is that your nanny works to earn a living. At the end of each contract year, sit down and review your nanny's performance and salary. Typically nannies are given a cost of living raise in addition to a merit raise. The average nanny raise is about 5-10% of her salary. Nannies also appreciate a year-end or holiday bonus. Typically nannies receive 1 to 2 or more weeks of paid salary as a bonus. Of course, there are other ways aside from money to reward your nanny for a job well done. Praising her and thanking her for the quality of care she provides costs nothing but a few minutes of your time. Providing her with a reference letter during her annual review, increasing her vacation time, and allowing her paid time off to run important errands or to go to the doctor are other ways you can show your nanny that you value and respect her. The most important thing is to let your nanny know that she is valued, appreciated and needed. Nannies who only hear criticism from their employer don't feel good about themselves or the work that they do. When this is the case, you can expect your nanny to seek alternative employment opportunities. It is not uncommon for a mom to be jealous of her nanny. To a mother, a child may prefer her nanny or feel that her nanny is taking her place. These feelings are natural and should be addressed. If you're experiencing these feelings, it's important to acknowledge that if your child is comfortable in your nanny's care, it likely means that she feels safe and secure and that your nanny is doing a good job. While every parent wants their child to love their caregiver in their head, when it comes to translating it to the heart, seeing your child love and bond with another adult can be hard. Fortunately, while your child's heart may be small, it can hold enough love for everyone. Remember, encouraging your child to develop a loving and trusting bond with your nanny is in your child's best interest. While many things will positively influence your working relationship with your nanny, respect is by far the most influential. Your nanny should feel as if she is a valued member of your household at all times. If you have a problem with your nanny, you should discuss it with her promptly and directly in private. If your nanny has gone above and beyond the call of duty, recognize her and thank her for her hard work. 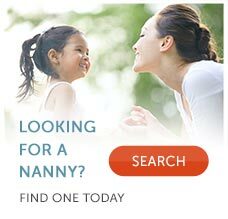 Finding the right nanny for your family can be a challenging task. Once you have found the right person to care for your children, you'll want to do whatever you can to encourage her to stay with your family for as long as your children need care. Having consistent care through the course of your child's young development is a real benefit of nanny care. Invest in your relationship with your nanny. You will be glad you did.